I explore this question over at my favorite spot, Rest Ministries, today! Follow the link and be sure to take some time to look around at all the this wonderful site has to offer folks like us! 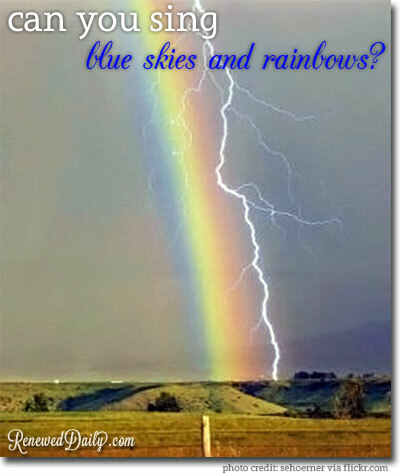 Can You Sing "Blue Skies and Rainbows"?